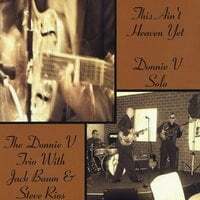 Donnie V | Donnie V Christian Blues | Prayer Request or Comments : Happy Mommies Day!!! Happy Mommies Day to all the Beautiful Mommies, and Mommies soon to be!! IT DOESN'T MATTER WHAT SIZE, SHAPE, RACE, CREED OR COLOR!!!!!!! You are all Beautiful to Our Father and me!! He Loves Us All!! Don't ever forget that he Loves Us All!! Proverbs 31:30 Favor is deceitful and beauty is vain: but a woman that fears the Lord, she shall be praised.